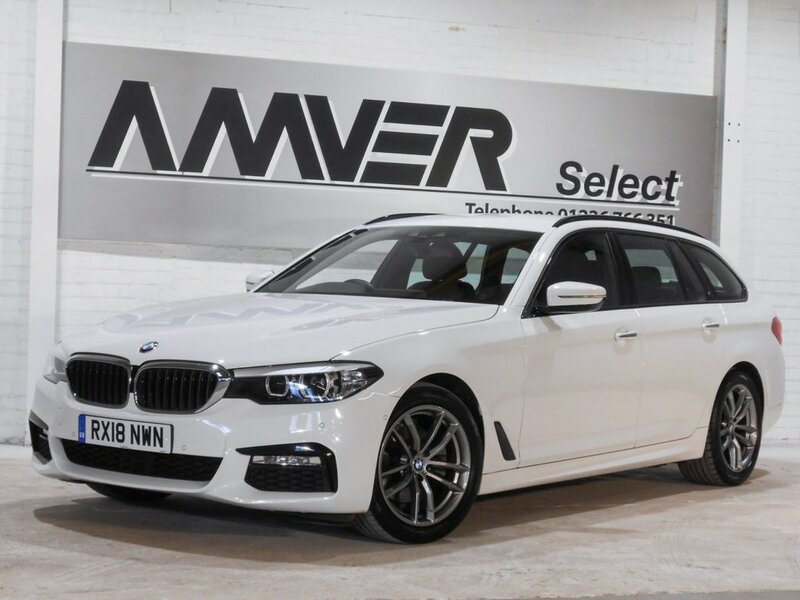 An immaculate one owner 520i M Sport estate automatic with 22,000 miles, full BMW main dealer service history & BMW service pack for free servicing until March 2022 in Alpine white with black Dakota leather. A stunning example in the best colour combination, equipped with heated electric seats, satellite navigation, adjustable coloured interior ambient lighting, configurable Drive Experience system with Sport, Comfort & ECO Pro modes, steering wheel gearshift paddles, front & rear parking sensors, electric powered tailgate, BMW fully electric concealed towbar and more. Supplied with complete book pack in BMW leather wallet, two keys, perfect BMW main dealer history, BMW warranty until March 2021 & BMW service pack until March 2022. HP and PCP finance available with no deposit, subject to approval. We have signed AA's Dealer Promise which means all cars are provided with a full history check, 12 months AA breakdown cover or member upgrade as well as other exclusive AA member benefits.